Planning a trip but do not know where? Then you should definitely consider visiting Peru, one of the most beautiful countries in America. 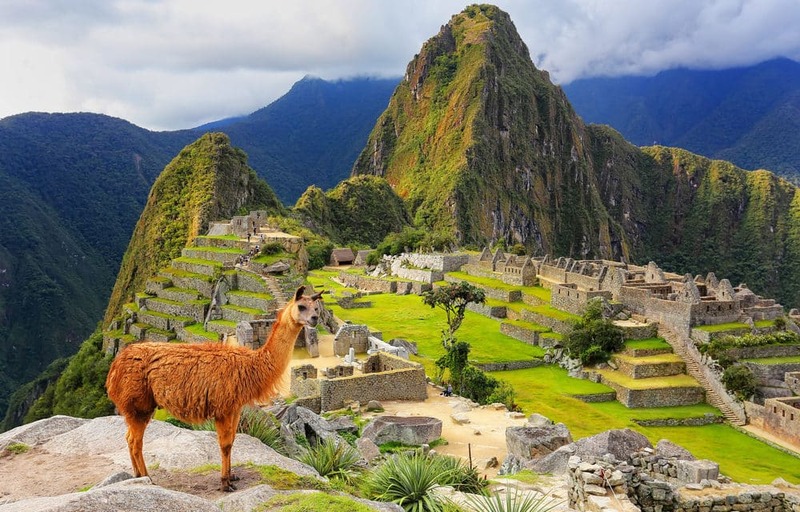 If you have already decided to visit Peru, then you are probably looking for beautiful places to visit – either way, find out about the 10 best things to do in Peru – best places to see and best activities in Peru- and find some important travel information for Peru in this post! 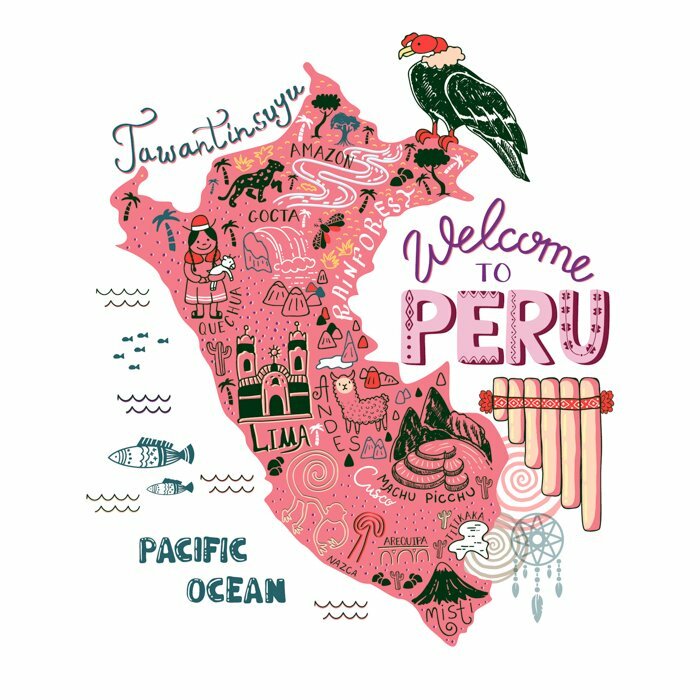 Intro- Peru is an amazing country filled with variety. Desert, cities, mountains, and rainforest. 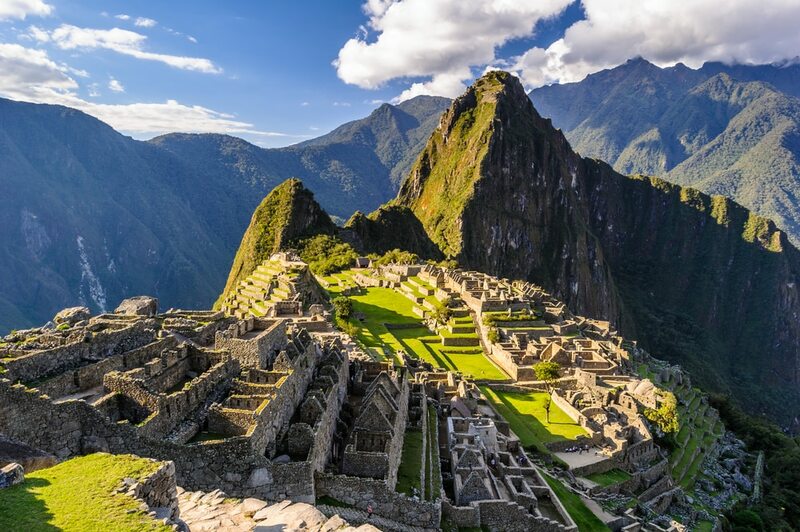 A mixture of ancient Incan history and modern cities await- you will see ruins in the mountains that date back thousands of years, pink river dolphins in the Amazon that exist nowhere else in the world and oases in the desert that seem to pop up out of nowhere. There is so much to see in Peru that Peru is a must see country for any traveler! Find a quick pre-travel guide with the most important travel information for Peru. Do not drink the tap water- drink bottled water only! Although coca tea and leaves are common here (and do help with altitude sickness) remember you cannot bring any home with you and if drug tested shortly after you will show positive for cocaine. There is a 50/50 chance of you getting altitude sickness and you should be prepared. I personally developed very severe altitude sickness which escalated to altitude poisoning and was violently ill for about 24 hours. My suggestions are to take altitude sickness pills ahead of time if you have access to them. If not be sure to take a few days in Cuzco to adjust, take it easy with resting and early nights. Avoid drinking alcohol for the first 24 hours in high altitude and aim for large lunch and small dinner since digestion can be affected. Bringing over the counter meds like Pepto and Dramamine can help a bit as can local remedies of coca tea if needed. Be sure to get any necessary travel vaccinations especially if you plan to visit the Amazon jungle which would also require anti-malarial pills. Carry a hidden money belt and be aware of pick pocketing, especially in urban areas. When shopping always barter and haggle! Like most places in the USA tipping is expecting (I generally go with a 10% rule). Most importantly be aware of your surroundings– always. Don’t walk around alone late at night, be careful not to expose your money/valuables, trust your gut if a person or situation doesn‘t feel right- leave. Don’t go out drinking alone and don’t share your hotel information with people you don’t trust. If you don’t feel comfortable walking grab a taxi and establish the price before getting in. Be conscious of the fact that every city has good and bad areas- research before you go so you know your good areas and stay in them. Knowing some Spanish (even just the basics) is also very helpful. I do not speak Spanish fluently but over the years have gained enough to ask directions, have basic conversations and understanding which can be incredibly helpful, pick up a phrasebook and practice before going. If you are staying mainly in coastal areas where tourism is more common English will be more widely spoken. Aim to blend in- don’t wear/ flash designer items and expensive jewelry for example and don’t dress too revealing, the Incan culture is more conservative. Be sure to wear a bra (this will help in avoiding unwanted sexual attention in Latin America), catcalling is common but always ignore and just continue walking, it’s best to avoid confrontation. In the cities, you would mainly walk or can use taxi services. Making your way between regions depends, getting from Lima to Iquitos to see the Amazon requires a flight. If you are making your way to Machu Picchu you will want to fly from Lima to Cuzco, then make your way to Ollantaytambo – the easiest way to do so is to take a collectivo taxi service and then from Ollantaytambo take the train to Aguas Calientes and then the bus goes daily up to Machu Picchu (round trip). As for the smaller side trips like Ballestas islands or Maras salt flats – these are best done with a small tour group via Peru Hop or Viator. Be sure to pack a variety of clothing I found layering to be best to adjust to temperature as needed. In Cuzco I found myself wearing a sweater and scarf but wearing a summer dress in Agua Calientes for example. Of course, comfortable walking shoes and hiking shoes for Machu Picchu. Bug spray, sun block, sun glasses and a basic first aid kit with over the counter meds. Cities here can be loud so be sure to grab some ear plugs for sleeping. Lima: (Miraflores is the best area of Lima to stay in) I would recommend the Hotel Antigua Miraflores, it’s a classic South American style hotel, cozy and in a good location. Cuzco: Taypikala Hotel Cusco, this hotel is a nice spot to be in only about a 10-minute walk from Plaza de Armas so you get some quiet at night but can easily explore and access restaurants and town center by foot. Peru is in the Southern Hemisphere and they have a wet and dry season. Dry season ranges June-August with wet season ranging December-February I recommend avoiding wet season. Dry season brings much less rain but also brings big crowds, so I found the best time to go is during in March-May or September-November. Okay, let´s get started with the best activities in Peru and fun things to do. The best thing to do in Peru is to visit Machu Picchu. Machu Picchu was always a major bucket list trip for me and seeing it in person was absolutely awe-inspiring! It is one of the most beautiful sights I have seen amongst all my travels. You can either hike the Inca trail (which takes 4 days) or you can take the bus from Agua Calientes (Machu Picchu town) which is what I did. Being fairly fit myself I personally found the amount of hiking during my trip as well as my altitude sickness quite exhausting and couldn’t imagine doing the 4-day trail, but if you are fit and want to do it, I have heard it is amazing! Regardless of which way you plan to get to Machu Picchu just make sure you get there and see it! It will be the highlight of any trip to Peru. One of the best places to visit in Peru is actually Lima. In most cases, you fly in and out of Lima. 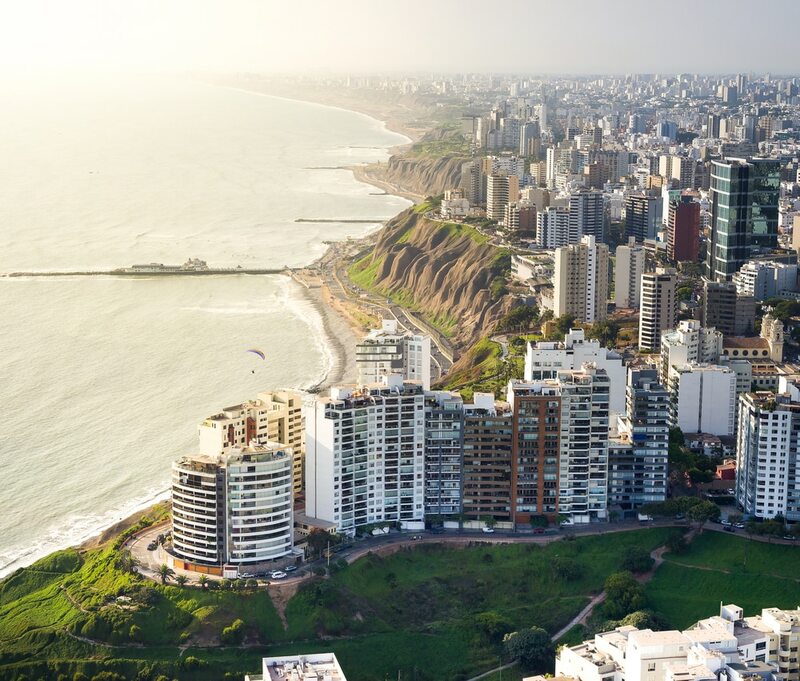 The city is right on the coast and most people tend to skip over it to get to the more “exciting” parts of their trip but Lima actually has a lot to offer! I only spent 2 days here and wish I had had more time. Miraflores is the best district of Lima to stay in but for exploring I recommend visiting the historic downtown to see some amazing architecture as well as the Saint Francisco monastery and catacombs. I also recommend visiting Barranco (one of my favorite areas) to try some great cuisine, experience the arts and see some amazing street art murals. While in Lima I got as much as I could into those 2 days by going with Haku Tours a local tour company. It was a great experience being guided by locals to the best spots. In addition to seeing the historic downtown and Barranco, I also recommend doing a food and or wine tour- there are some delicious things to try here! Ceviche, Pisco Sour, South American wine and some amazing traditional dishes. You can also use Lima as a base to visit the Pachcamac pyramids. One of the best places to visit in Peru is Cusco. Cuzco was one of my favorite spots! Although it is most people’s first spot in the country with quite a high altitude, so be prepared. 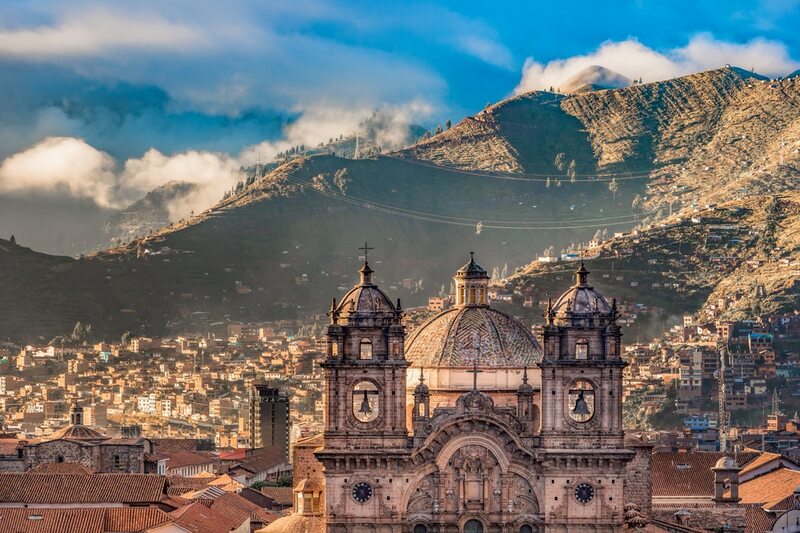 The scenery is beautiful: cobblestone streets, the Andes mountains, Incan women walking llamas and the Plaza de Armas featuring the gorgeous Cathedral Basilica of Our Lady of the Assumption. It’s important to stay here a few days- not just to explore the markets and soak everything in but to adjust to the altitude as well. The Ballestas Islands are also a beautiful place to see in Peru. 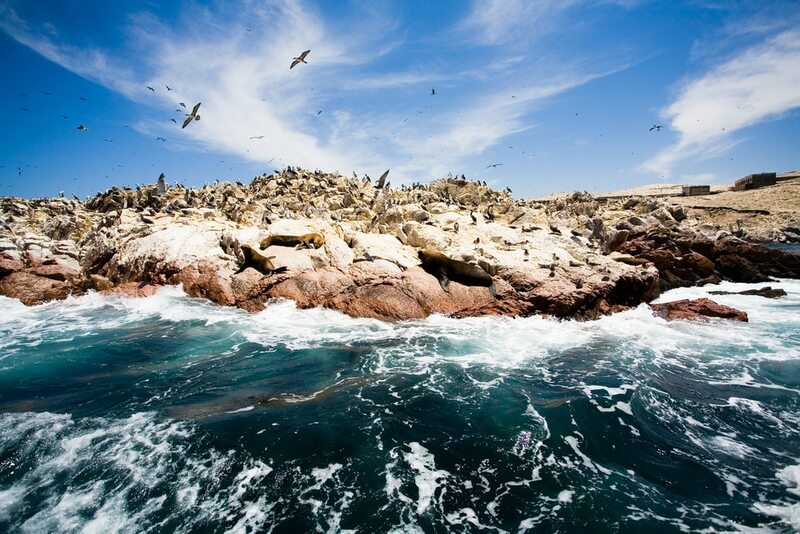 Also known as the “poor man Galapagos” visiting the Ballestas Island are an amazing day trip from Lima. The islands are full of wildlife including pelicans, the Peruvian booby, and several other bird species. In addition, colonies of sea lions inhabit the islands and if you are lucky you may see some whale, dolphins and even penguins! You can do this with Peru Hop and even combine it with other to-do spots along the way. A must-see place in Peru is the Huacachina Desert Oasis – this can be paired with the Ballestas Islands day trip and is a really unique spot. 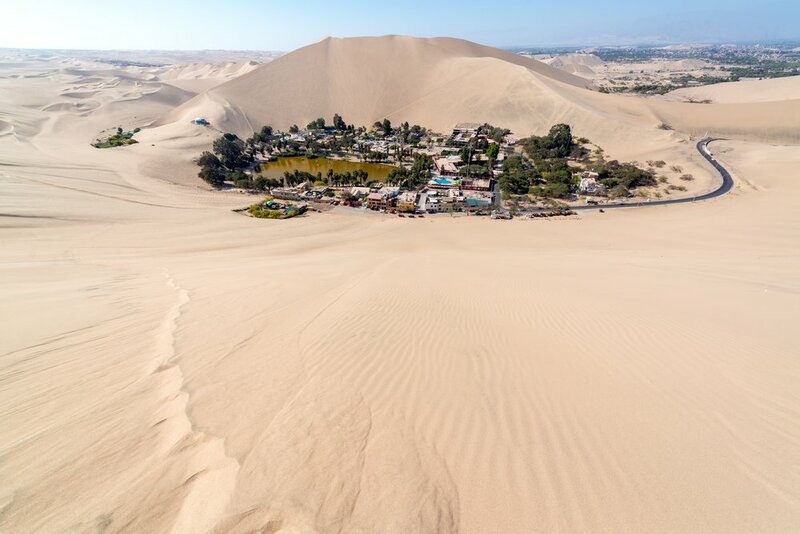 In the middle of the desert is a magical lagoon and small town forming Huacachina. You can go sandboarding, dune buggying or just relax and explore this amazing spot. You can do the 1-day excursion from Lima that combines Ballestas Islands and Huacachina oasis, or you can add in 1-2 overnight stays to catch more sights like a Pisco vineyard, Paracas National reserve and more. 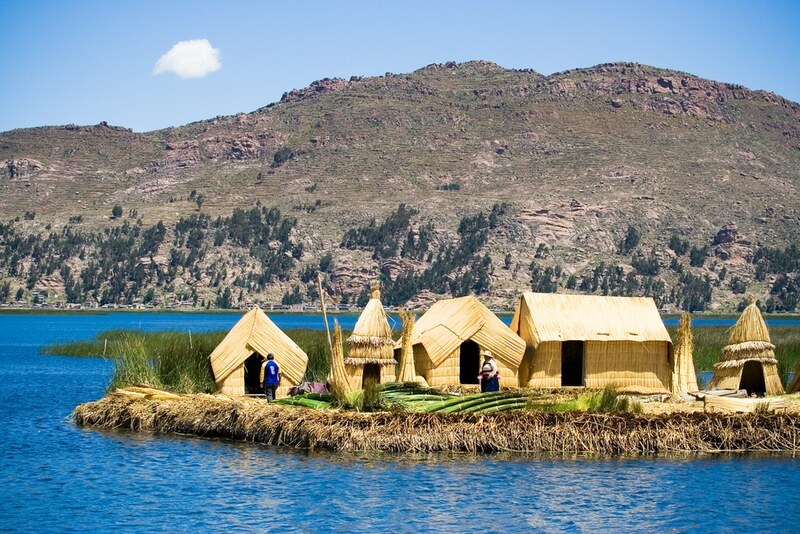 One of the most fun things to do in Peru is to visit the floating islands. The floating islands here are actually entirely made of woven totora reeds. The Uros people created these floating villages to escape aggressive tribes on the mainland. When visiting you can see the people continuously weaving to maintain the villages and reed islands it’s a fascinating sight and a must see in Peru! Wondering, what else to do in Peru? Well, here are more tips for Peru activities. 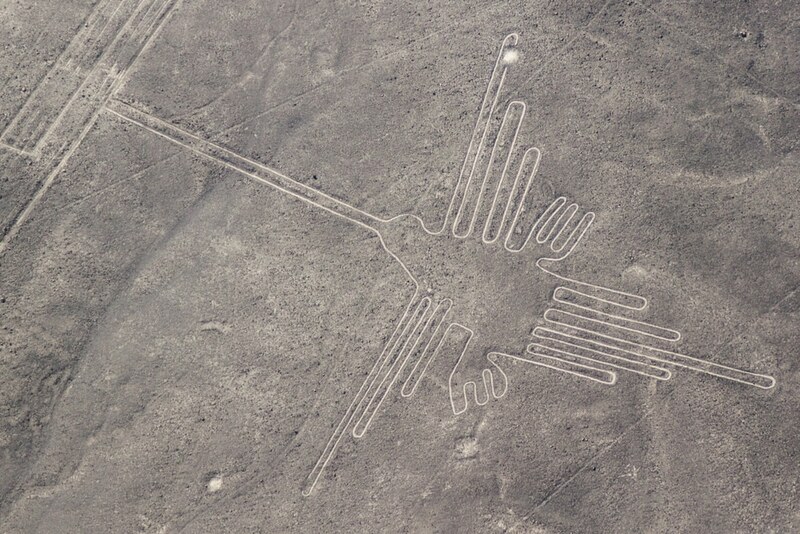 When in Peru… the Nazca Lines are a must see! The Nazca lines are giant geoglyphs. How they were created is a mystery! Some people even believe they were created by aliens. These fascinating designs are so large they can only be seen by air. 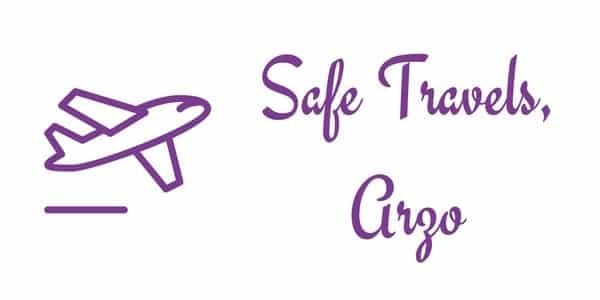 Booking a flight over the lines is an amazing experience and 100% worth it, just be sure to take motion sickness pills just in case the turns of the plane circling over the lines can upset some travelers’ stomachs. Another great place to visit in Peru is the Sacred Valley. 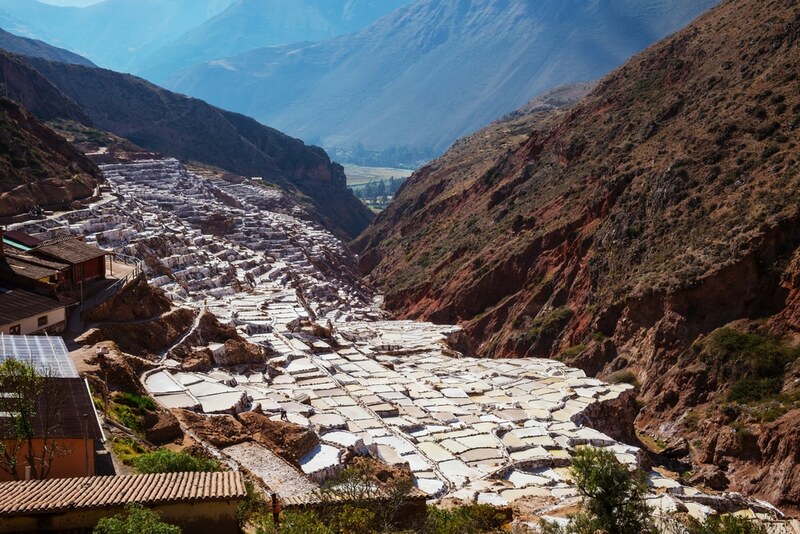 The Sacred Valley is an “in between” spot filled with treasures of its own. You can spot small villages, ancient ruins like Pisac, Moray and Ollantaytambo and weaving co-ops where you can visit local Incan communities weaving and selling their goods (which was one of my favorite stops). Here we learned the traditional techniques still used by the women today and watched as white wools were turned bright yellow by their dyes made from seeped flower petals it was lovely. More Fun Things to Do in Peru – here are more great things to do. Although most of the treasures lay in the mountains you won’t want to miss the Amazon jungle teeming with wildlife. Flying into Iquitos and taking a short cruise down parts of the river is the best and easiest way to see this region. You also have the option of staying in jungle lodges in Iquitos and doing daily excursions but there’s nothing more magical than floating down the river itself. You’ll get to witness the pink river dolphins found nowhere else in the world. In addition, you take land trips from the boat to explore the wildlife of the jungle and local villages. Just be sure to properly prepare yourself for the Amazon with necessary vaccinations and anti-malarial pills. 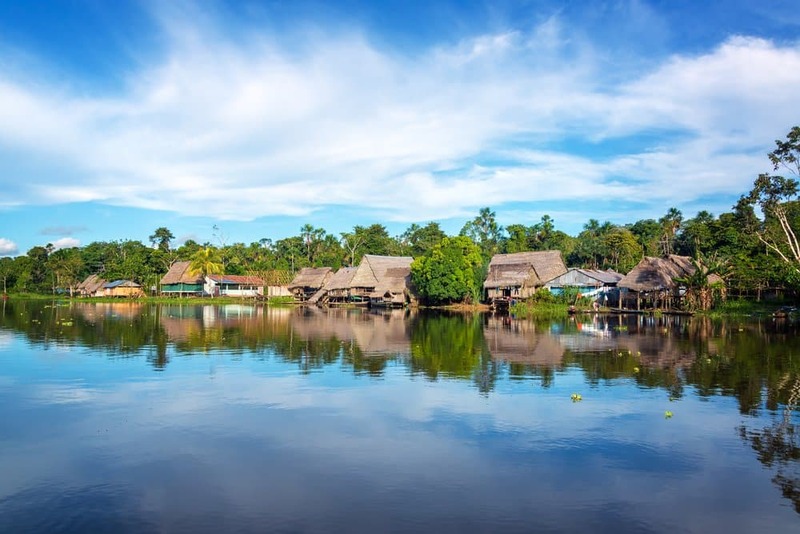 You can find some great options for both Iquitos lodges and Amazon river cruises on Viator. Another great thing to do in Peru is to visit the Maras Salt Flats. The salt mines here were terraced on the mountain slopes and create an amazing effect and surreal scenery. You can do this, as a day trip from Cuzco most easily via Viator and can be combined with a visit to the Moray Incan site. Depending on the time of year sometimes the terraces catch water and create a mirror effect as well which is quite beautiful. It’s a nice “off the beaten path” stop during any Peru itinerary. PERU – don´t you think it is an amazing country with so many beautiful spots to visit? Cassandra is a US-female travel addict that loves traveling the world. She has made traveling her priority and so she has traveled for the last few years. 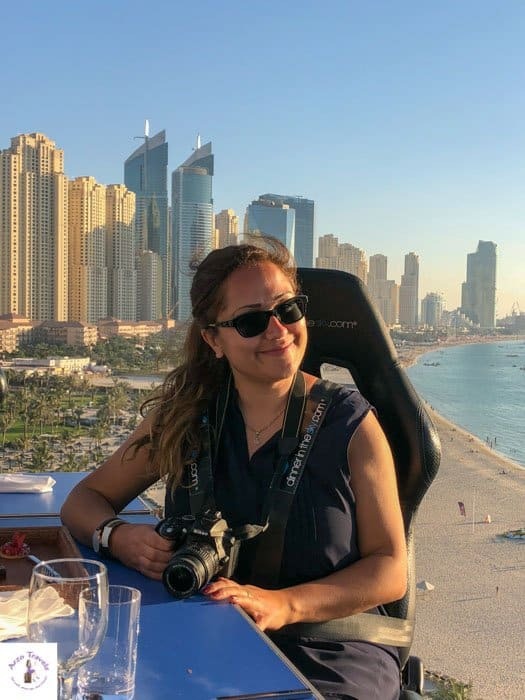 Check out her site where she sells her travel photography.